"Ladies and gentlemen, I humbly present for your consideration the title track from our new album: Mindfucker. We got the rock if you want it! I hope you can dig it", Dave Wyndorf, MONSTER MAGNET frontman. Today the title track and first single "Mindfucker" has been made available for streaming. Get a first listen to the track below. 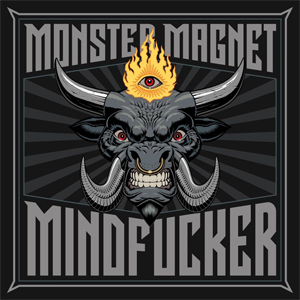 MONSTER MAGNET puts the pedal to the metal with Mindfucker, their 11th record. Mindfucker is different, a step forward and a step back at the same time to the almighty roots of hard rock music, kindled by the unpretentious Proto-punk era. Up tempo, savage in both sound and spirit, Mindfucker is the real deal! The album has the potential to surprise and to whip up the love for the genre, while still giving the sludgies and stoner freaks exactly what they wish for in a new MONSTER MAGNET album. Mindfucker will be released on March 23, 2018 and can be pre-ordered right HERE. MONSTER MAGNET will be on tour in Europe this May and June, a complete list of dates can be found below. The band is currently planning a full North American tour as well. Details coming soon!